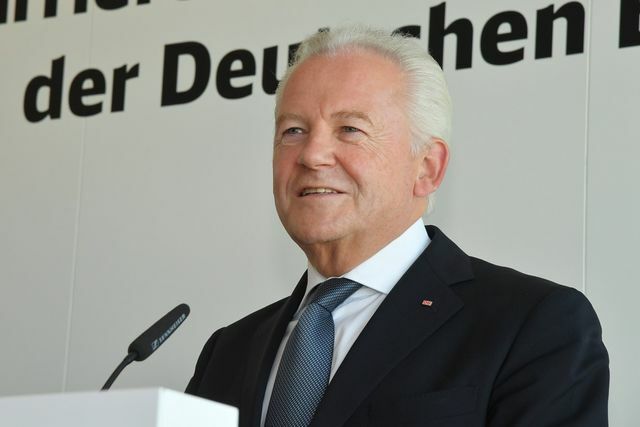 Dr Rüdiger Grube, chief executive of German state railway company Deutsche Bahn (DB), has resigned his post effective immediately. Chief financial officer Dr Richard Lutz will take over as interim CEO until a longer term replacement is identified. Dr Rüdiger Grube, chief executive of German state railway company Deutsche Bahn (DB), has resigned his post. The group’s supervisory board unanimously agreed to accept his resignation effective immediately. Chief financial officer Dr Richard Lutz will take over as interim CEO. After almost eight years as CEO, Dr Grube’s contract was reportedly due to end this year. But this won’t be the end of Dr Grube’s involvement in railways. In September 2016, he was appointed president of the European Railways Community (CER). Based in Brussels, CER represents more than 70 railway and infrastructure companies – almost the entire European railway sector. One of Dr Grube’s achievements within DB was the drive towards digitisation, and he will continue this work at CER.